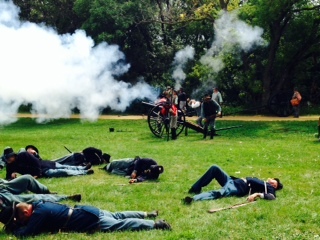 The first day of battle ended in a stalemate, and the second day nearly ended the same way, until C.S.A. 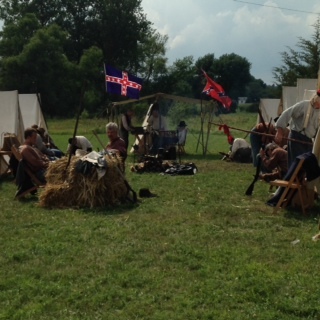 General Longstreet’s army arrived to support Jackson. When Pope renewed his attack on August 30, Longstreet retaliated by sending his 28,000 Confederates to counterattack. It was the largest simultaneous mass attack of the war. 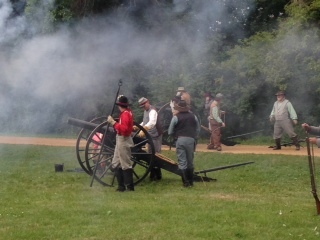 The Yankees were driven back, and the battle nearly ended in a repeat of the 1861 battle, when the Union army literally ran back to Washington City (Washington D.C.). We all know the important roles horses and mules played during the Civil War. They were essential to the mobility of armies. They pulled artillery caissons, carried officers, served as couriers, and of course, transported the cavalry. But besides equines, many other animals served in the War Between the States as well. Soldiers were attached to their pets, and some brought along dogs, cats, and various domesticated livestock to the battlefront. They adopted squirrels, bears, birds, raccoons, and other wildlife as company mascots. Some unusual mascots included a badger, a camel known as “Old Douglas,” which was part of the 43rd Mississippi, and a bald eagle named “Old Abe,” which represented the 8th Regiment Wisconsin Volunteers. General Lee kept a hen that dutifully laid an egg for him every morning. Many of these special animals are immortalized in statuesque form, including General Lee’s horse, Traveller, General Grant’s Cincinnati, and General Stonewall Jackson’s Little Sorrel. Dogs are honored, too, including Sallie, mascot of the 11th Pennsylvania. Her likeness is carved in bronze on the regimental monument at Gettysburg. There are many other famous canines that accompanied their masters to the battlefield … and to their death. A few are even buried there. 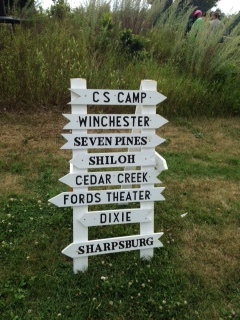 These include Jack with the 102nd Pennsylvania Infantry, Old Harvey with the 104th Ohio, and Major with the 19th Maine. In 1841, a little more than ten years after the City of Memphis was founded, Henry Van Pelt printed the first issue of the Memphis Appeal, a weekly newspaper. Van Pelt printed the fledgling newspaper from his home located on the Wolf River. Printed on single sheets of paper, the Appeal was anything but appealing. However, it served a need in what was at the time a hard-bitten, backwater frontier town on the Mississippi. Van Pelt (right) was a Democrat, and the paper reflected his political views, which were generally in opposition with the majority of Memphis citizens, who were Whigs. They, of course, had their own papers to voice their concerns. As Memphis grew into a real city, however, so did the Memphis Appeal. By 1847, it went from a weekly publication to a daily paper and with it a new name: the Memphis Daily Appeal. On April 23, 1851 – just two days after the paper celebrated its ten-year anniversary – Van Pelt dropped dead, and the newspaper changed hands. As sectional conflicts over slavery and other issues exploded on the scene, Benjamin Dill took over as editor and John R. McClanahan became the paper’s printer. A native of Georgia, Dill had been a lawyer and worked as a bank cashier in Mississippi and Missouri before moving to Memphis and taking over the Appeal. Although neither were too outspoken on the issues of the day – other than voicing support for “state’s rights” – by the beginning of hostilities both men were thoroughly on board with secession and enthusiastically supported the Confederacy. As a result, the Memphis Daily Appeal became a very pro-Confederate newspaper. Heading south, the newspapermen set up shop in Grenada, Mississippi. On June 9, just three days after leaving Memphis, the publishers of the Appeal explained that they moved to Grenada in order to continue their advocacy of the Southern cause. “So long as two or three States are gathered together in the name of the Confederate States,” they wrote, “so long will we be found advocating, as zealously as ever, a continued resistance to the tyranny which a haughty foe is endeavoring to establish over us…” The Memphis Daily Appeal continued to publish from Grenada until November 29, when Grant’s approaching army during the Mississippi Central R.R. campaign forced Dill and McClanahan to relocate yet again, this time to Jackson. Heading east, the Appeal next stopped in Meridian, but kept moving into Georgia. From Atlanta, the Appeal published for the first time in Georgia one year after leaving Memphis, on June 6, 1863. The Appeal found a home in Atlanta for a whole year and had a healthy circulation of nearly 15,000. As before, however, approaching Union armies threatened the paper’s existence and the Appeal was on the move again in June 1864 as Sherman began bombarding Atlanta. Even though the presses were shipped to Montgomery, the Appeal valiantly continued to publish news for the men in the trenches until as late as September 2. 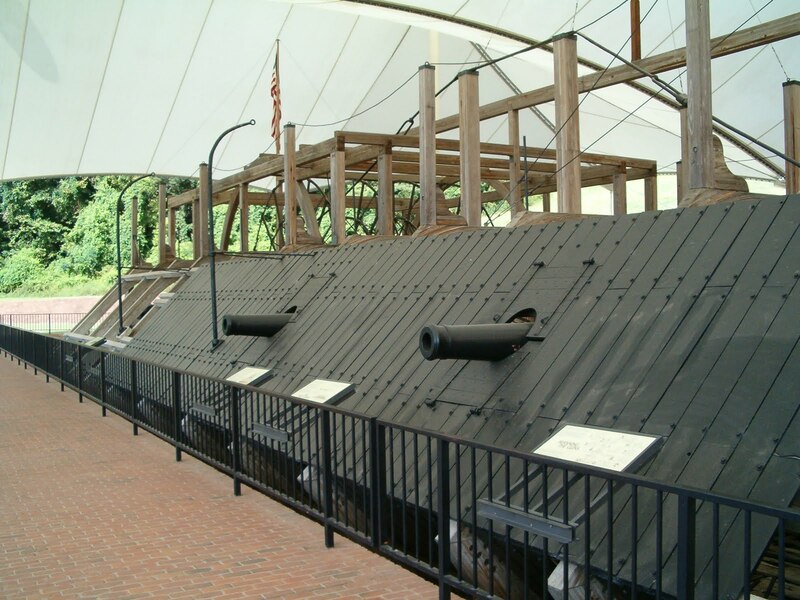 A few weeks later, presses were running again in Montgomery, where they remained until April, 1865. On April 9, 1865, Lee surrendered the Army of Northern Virginia to Grant at Appomattox. 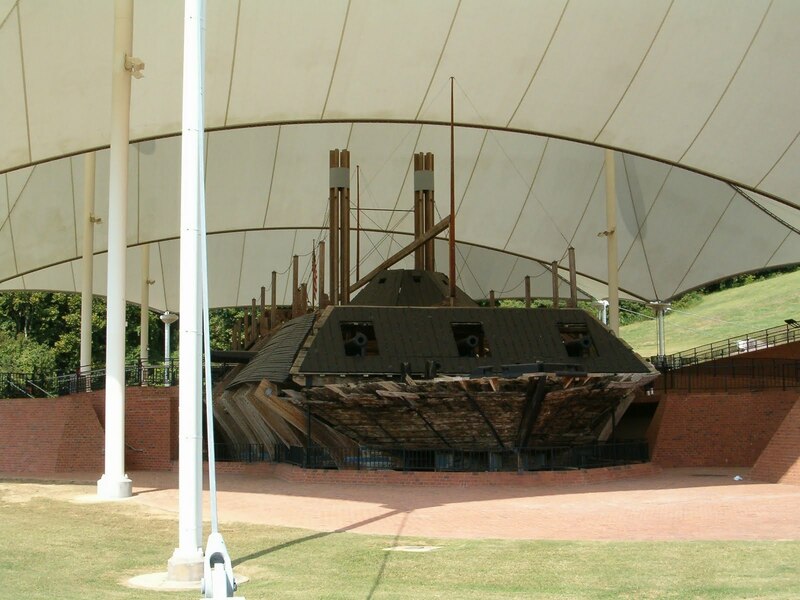 The same day, Confederate forces were overwhelmed at Fort Blakeley, Alabama, on the northeast side of Mobile Bay. Clearly, the war was winding to a close. 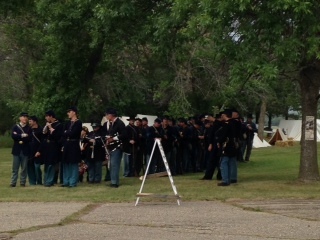 In Montgomery, Union cavalry forces under Brig. Gen. James H. Wilson (right) went on an extended and destructive raid through Alabama and into Georgia (the same raid in which the University of Alabama in Tuscaloosa was burned to the ground and during which Jefferson Davis was captured). To try and escape Wilson, the paper and it’s presses fled to Columbus, Georgia. In Columbus, however, the Appeal staff was finally captured, including Benjamin Dill. When Dill was taken to General Wilson and introduced, Wilson is said to have exclaimed “Have we caught the old fox at last? Well I’ll be damned!” While he might have finally captured the editor, the valuable press was nowhere to be found, as it had been spirited away to Macon and hidden to escape destruction. The “Moving Appeal” had at last been grounded. 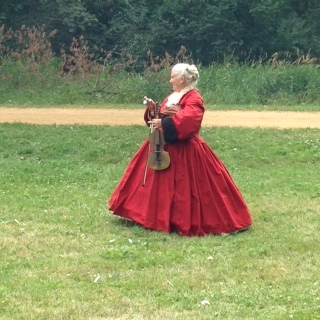 As promised, here are more pictures from last weekend’s Civil War reenactment at Pipestone, Minnesota. I hope y’all enjoy them! 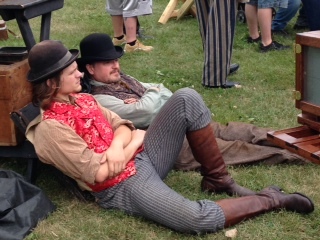 Last weekend, my husband and I attended a Civil War reenactment in Pipestone, Minnesota. 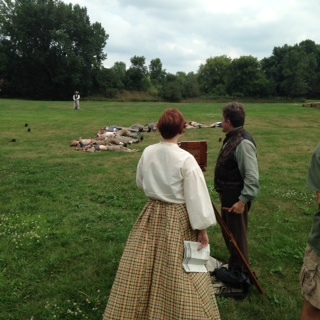 This reenactment takes place every two years. 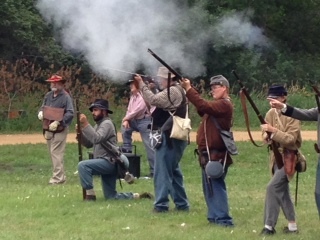 This year, there was a great turnout of spectators and reenactors. 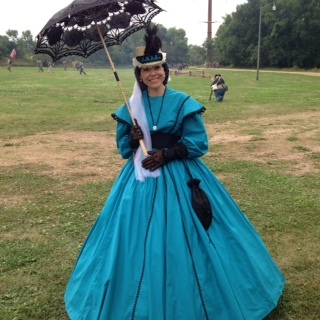 The weekend included two battles, a visit from Mr. and Mrs. Lincoln, several demonstrations, and a ball on Saturday night. The only thing missing was a period church service on Sunday morning. Most reenactments include this as part of their schedule, so I’m curious as to why this was omitted. 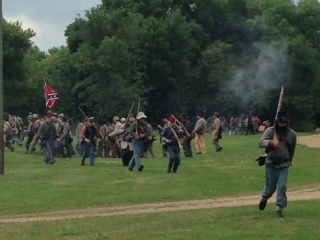 We saw the reenactment on Saturday and arrived just in time for a battle. The Confederates won! 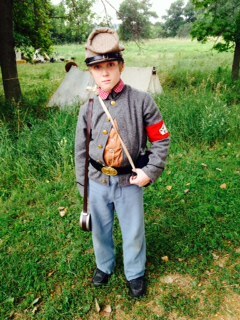 There were many enthusiastic reenactors on hand to demonstrate period ammunition and attire, and discuss various aspects of the war. For some reason, there were no horses present. Again, why?